One of the largest puzzle collections -- 430 brainteasers based on algebra, arithmetic, permutations, probability, plane figure dissection, properties of numbers, etc. Intriguing, witty, paradoxical productions of one of the world's foremost creators of puzzles. Full solutions. More than 450 illustrations. The puzzles in this volume were discussed in a Malayalam blog for Mathematics teachers in Kerala. Many of these were solved by the readers of that blog. This volume attempts to provide detailed explanation how these can be solved mathematically. This is a classic collection of mathematical recreations, a comprehensive source for information about magic squares, Platonic and Archimedian solids, chessboard recreations, and just about any other variety of math-related puzzle you could name. Here you see Carroll the mathematician at his playful best. This isn't about modern symbolic logic but about ways of expressing classical logic with symbols. 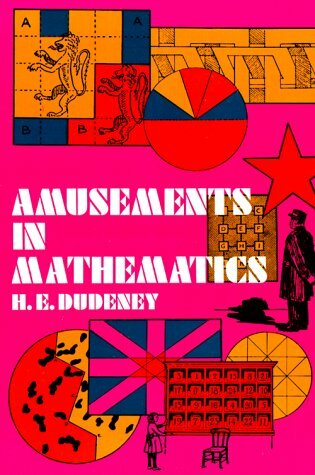 It's loaded with amusing problems to delight any mathematical puzzler.